We’ve all heard of the benefits of owning a cat such as reduced stress; lower blood pressure and most of all, the general all over happiness we feel when owning such a majestic yet curiously aloof animal. Many of us already know how a regular yoga practice can assist us in becoming more flexible; calm and even more resistant to illnesses such as colds, but not too many have considered combining the two popular activities mentioned above! Say hello to Yoga Cats, featuring the phenomenal photography of Daniel Borris and it’s accompanying 96 page guidebook written by Alison DeNicola. Dan Borris’ work has appeared in magazines like Vanity Fair; Rolling Stone and The New York Times and photography for the Gap and Time Warner. Alison DeNicola is a successful Five Element Yoga Teacher, Energy Healer and author. Her two books, Mudras for Awakening the Energy Body and Mudras for Awakening of the Five Elements deck and book sets also published by U.S. Games Systems. She can be found living and teaching in Stamford Connecticut. It was love at first sight for me, being a nut for cats and a beginning Yoga student myself. I was however, not quite sure what treat was in store for me until I opened the sturdy cardboard box and got my first glance at these awesome little felines in adorable yoga poses. 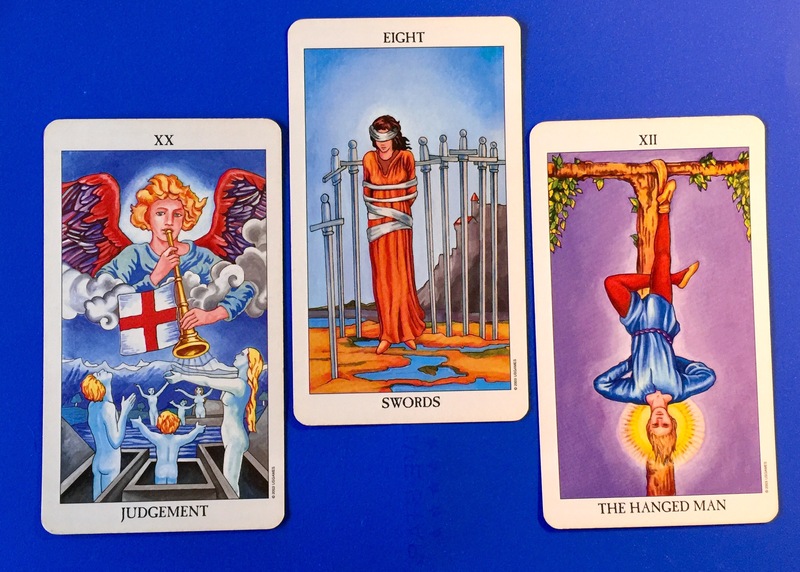 In its full color booklet, the reader is first introduced to this deck by a few short paragraphs about how the deck can be used. 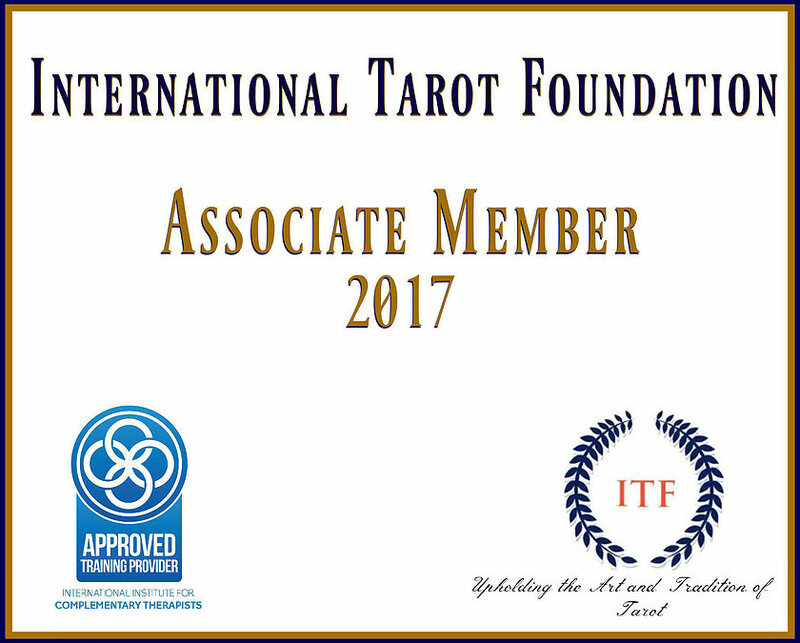 Like shuffling the cards each day and drawing one card that can inspire your spirit with one of 44 images and messages. These large, beautiful cards can be used in a more intuitive way by asking questions such as “What do I need to be mindful of at this time?” and allowing the image and message to guide you into a more mindful state. I absolutely adore the way each cat is named and embody their individual purrsonities! The Yoga poses are described in its booklet for a more detailed benefits of the poses and how to add them to your regular yoga routine or as a way to begin a regular routine for stress reduction and inner calm. 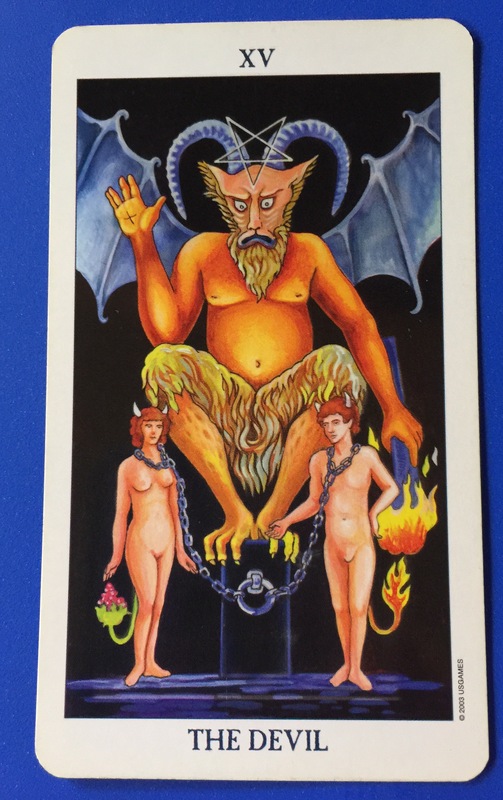 This is an amazing deck that will pleasantly surprise as well as inspire you to step out of your day to day routine and add a little magic and healthy habits to your life. 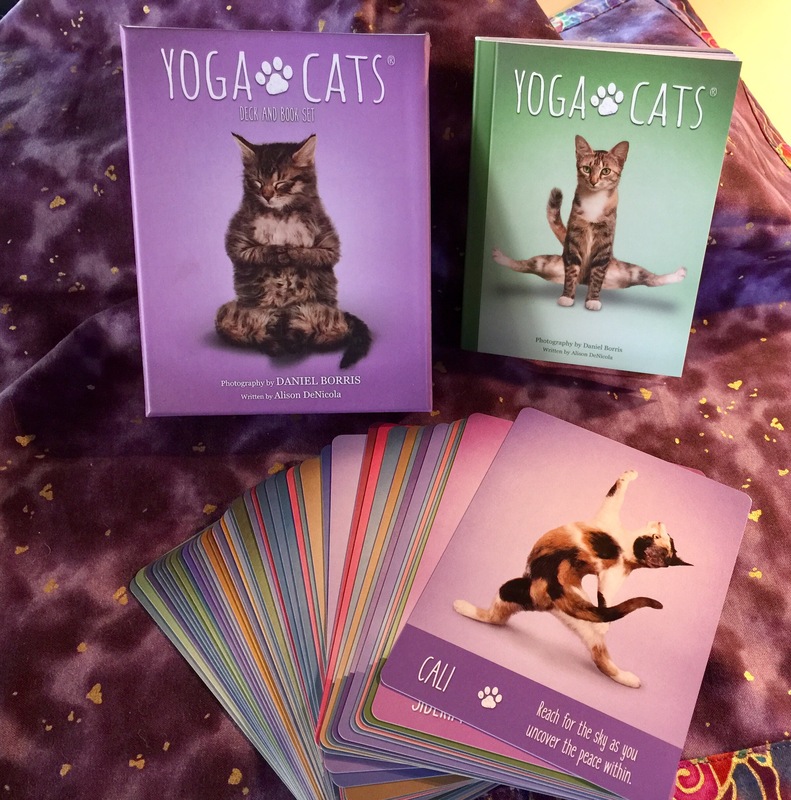 No prior knowledge of oracle cards or affirmations are needed, anyone can enjoy Yoga Cats right out of the box!